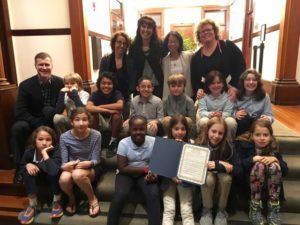 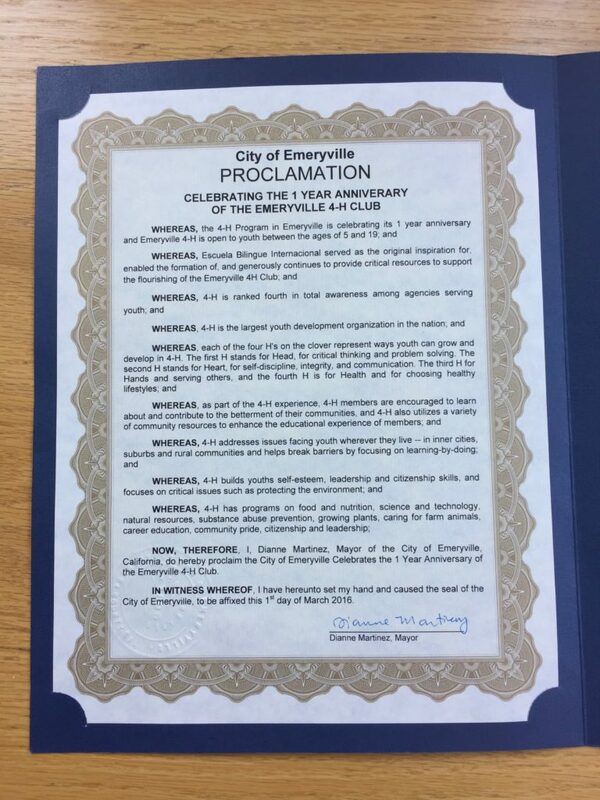 On March 1, 2016, the Mayor of the City of Emeryville recognized our club by a Proclamation during a City Council meeting. 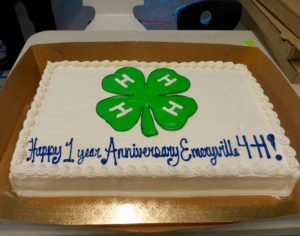 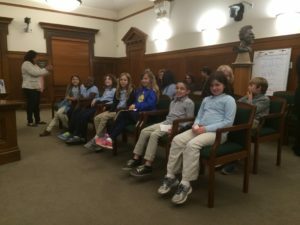 Various Emeryville 4-H members attended the meeting. 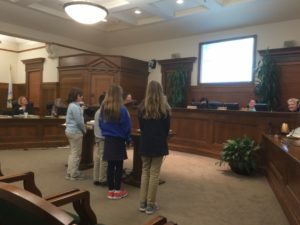 Our Youth Officers accepted the Proclamation, talked briefly about their 4-H experience, and thanked the Mayor and Council members.